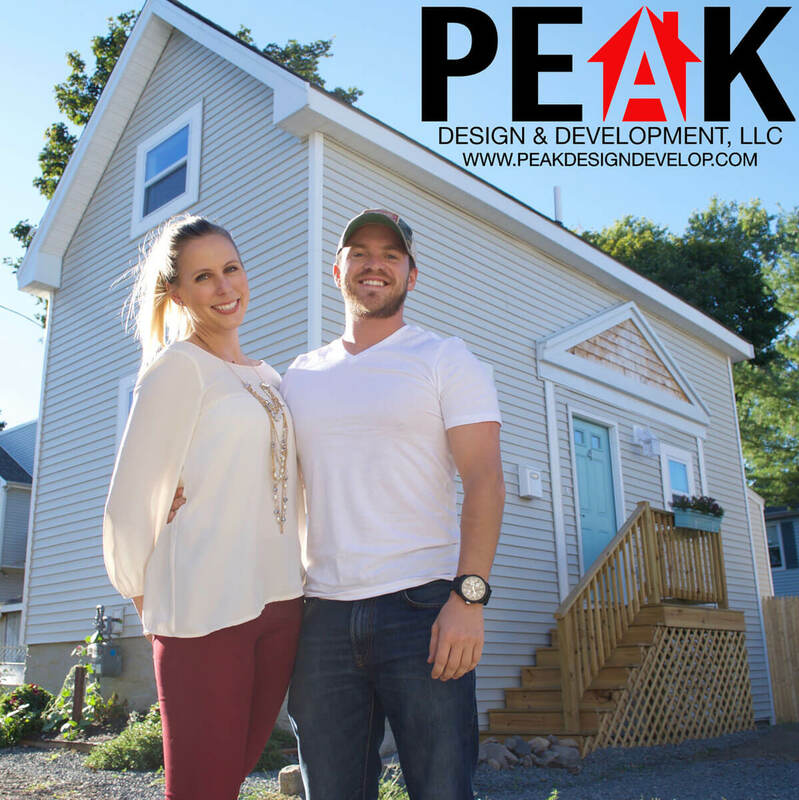 Together Ethan Scott and Katherine Robbins make up the dynamic and successful duo that is Peak Design & Development. Since 2013 they have made a career out of acquiring, rehabilitating, and reselling distressed properties throughout New England. In recent years they have also expanded into the new construction business, using their combined education and experience in architecture, general contracting, and home staging to build and market the highest of quality homes for their clients. Ethan and Katherine’s combined knowledge in these specialized real estate transactions makes them the ultimate resource for guidance and advise for others looking to follow the same path. A few years ago when Ethan and Kathrine were looking for alternative resources to fund their many projects, they found the private money lenders at Universal Capital. “ When looking for alternative resources to fund our projects, UC stood out as being professional and also because they had a genuine interest in the success of both parties (us and them).” noted Ethan, “Universal Capital understands that a good business relationship is based on both party’s satisfaction and success.” added Katherine. Ethan and Katherine started small, but through partnering with the right people and businesses they have built a massive operation that produces constant opportunities for continuous growth. They are now well known in their industry and sought after for their work. “You can be as successful as you want to be. The more you put in and push yourself, the more successful you’ll be. This business can be difficult and it’s important to find people like UC who can make the process easier. It’s just one less stress off your mind. Feeling inspired? Reach out to Universal Capital today to jump start your Real Estate Investing career – call (800) 259-1614.